I love, love, love my dress. The color (watermelon) is beautiful and the beading is exquisite!! I think this is a perfect dress for a summer wedding; can't wait!!! I did have a problem with the delivery through DHL. The dress was supposed to arrive on Tuesday, April 24. It did not. At the end of the day I phoned DHL and was told there was $44 owing for delivery. I was very surprised as I have always paid delivery at the door, but I paid by phone. 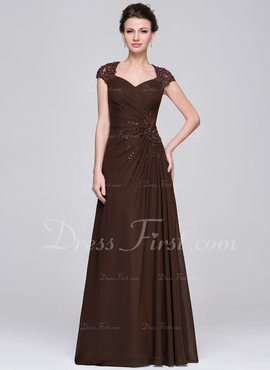 On Wednesday, I again waited all day but the dress did not arrived. On Thursday morning I again phoned DHL asking where my parcel was and was told that it had been diverted to another carrier...(Canada Post). I informed the person on the phone that this was very unsatisfactory as Canada Post does not deliver to the door, which requires me to travel to the postal outlet to obtain my parcel. In summary, I love my dress. I do not like dealing with DHL as they do not deliver as promised. Other carriers that I have dealt with do deliver directly to my door.